Linnaeus named the genus Oxalis in 1753. Turkey Springs Trail, June 26, 2007. 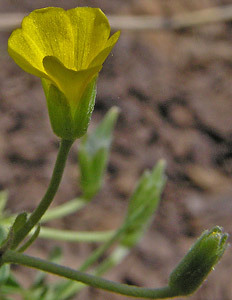 In the Four Corners area, this tiny Oxalis is found only in Apache County, Arizona and Archuleta County, Colorado. 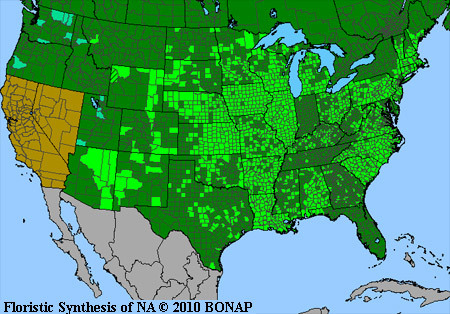 It is quite common, though, in the mid-western and eastern United States. Stems and petioles have hairs; leaves are smooth and shiny. East Fork of the San Juan, June 25, 2007. 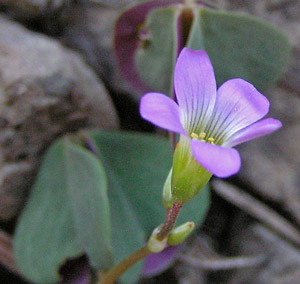 In the Four Corners area, this uncommon Wood Sorrel occurs in a few counties of Arizona, Colorado, and New Mexico. 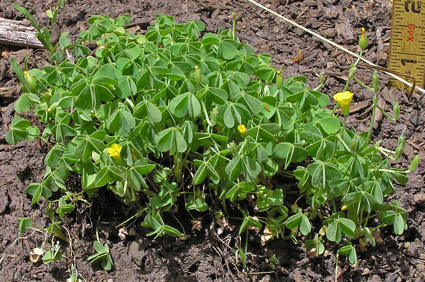 It was previously thought to be Oxalis violacea, a species almost exclusively of the central and eastern United States. 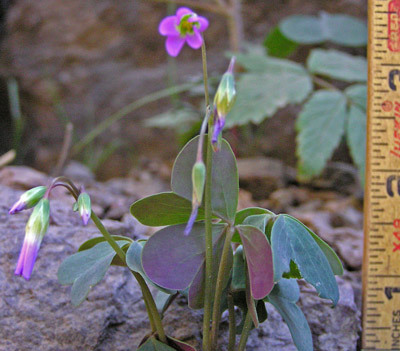 It also has sometimes been classified as Oxalis alpina, a species of Mexico. The plant grows five-to-eight inches tall; enjoys rocky, dry areas; and can form large colonies from its spreading runners. This species was first named Ionoxalis metcalfei by John Small in 1907; Reinhard Knuth renamed the species Oxalis metcalfei in 1919. Orrick Metcalfe collected this species in Grant County, New Mexico in 1904-1905. Click for more biographical information about Metcalf. Click to read the complete description given in the Flora of North America.